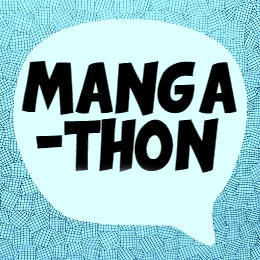 Did you miss participating in one of our #MangaMonday topics? It’s not too late! The dates for these themes may be past, but you are still welcome to pick any of these topics and make your own recommendations on your own schedule! January 8 : Meta-Manga Manga. Meta-Manga refers to manga that are about manga. Recommend some titles that feature manga (or other aspects of Japanese popular culture) in some way. January 22: Short Shōnen Manga. Typically Shōnen manga are thought of as being super long battle series with 20+ volumes, but there’s a lot more to shōnen manga than this. Recommend some shōnen titles that don’t take a lot of time and financial commitment to read! February 12: Valentine’s Day Manga. Talk about your favourite romance manga, your favourite couples, your favourite Valentine’s day scenes… or a great manga to read if you’re single on Valentine’s Day. Recommend some titles to read on Valentine’s Day! February 26: Playing Games in Manga. That’s not manga! Manhwa are comics that were written in Korea. Due to the similar art-style and themes, these comics are often confused for Japanese manga. Since the Winter Olympics are being hosted in South Korea this year (Feb 9-25) I thought it would be nice to highlight some of the works coming out of that country! Let’s talk about manhwa! It’s a mystery! Recommend your favourite thrillers, detective stories, or whodunits! Aliens are invading your manga! They may be scary, dangerous creatures, they could be cute and harmless champions of love, or they may even be disguised as regular human beings. Although, they are most often found in the pages of science fiction stories, aliens are a prevalent motif in many genres of Japanese comic books. Recommend titles with your favourite aliens! I’ve often heard people say that they aren’t interested in sports, so they don’t want to read manga about sports. But, you don’t have to love sports to love sports manga! Let’s encourage a love of sports manga, by sharing titles from the “sports manga” genre, or talk about some titles that feature sports in some way. Josei manga is probably the demographic with the smallest amount of English-language publishing. But despite its small number, they have a high average of being worth-while reads! Recommend some josei manga that you’ve read and enjoyed. Or, share some josei titles that are on your future reading list. *Josei manga is a marketing demographic that targets adult women readers. If you could become anything, what would you be? This week we’re recommending Magical Girl Manga. This is a manga where regular girls (and sometimes boys) use a few magic words (and possibly a wand) to transform into something extra-special to protect their friends, to find a lost item, or to save the whole Earth! This week we’re recommending historical manga. History is being made every day, and so is historical manga! Share titles that take place in a historical time period, feature historical people and events… or, even just “old manga” if you want to!